Enjoy fishing during the winters? Well, you are not the only one. Ice fishing is getting more and more popular as we speak and due to a reason. First of all, it allows you to catch fish in winter and it is completely different than any other form of fishing. As such, it is more appealing for those who want to try something new. 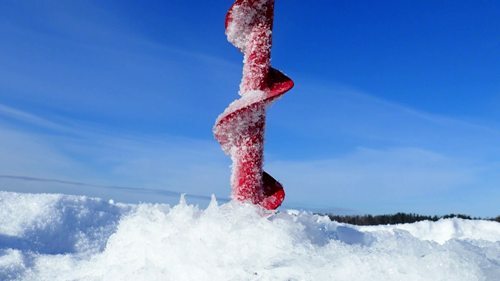 Of course, because it is different, you will need to know a few ice fishing tips and techniques that may help you excel in your interest. This is one of the oldest and the most appealing techniques of all times. Basically, it means that you will have to drill a test hole and scan for a fish. If there is a fish, well done. But a more probable way is that you will have to drill several holes in order to find fish. You should map an area which is equivalent to a football field. Drill a few holes in all directions and scan the water. If there is no fish, you will simply move to the next, imaginable football field. Keep in mind that some fish finders will work even without a need to drill a hole, but this isn’t the case with all models. In most cases, you are still going to have to drill a hole in order to get the precise results. At the beginning of the winter, fish is usually located in shallow waters. There is plenty of food still, so they don’t have a need to move to the deep water. But, as the winter progress, the food will be rare and less, so most fish will move to deeper waters. Deeper waters are more preferable due to the fact they have a soft, sticky type of bottom that is still rich in food. As such, the fish will be located there and you will get the biggest success if you move alongside the fish as well. You can easily find these depths within minutes, so there is no need to waste your time explaining how you should do it. Anyway, we would like to add that if you fish in the same location year after year, you will want to map the area and locate the precise locations where the fish is located. Or, if you want a simpler way, invest in a fish finder should help you to become more efficient and fast in terms of looking for types of fishes exist in your preferred locations. This technique is similar to the previous one. Basically, you will have to find a depression in the water. A depression is simply slightly deeper water in a lake or a river. There are countless ways you can find it. The best example is to use a high-quality fish finder which is accurate in finding the depth of the water. The maps are the next best thing. Here we can see two main differences. The first one is the fact you will use old maps. They are still useful and accurate, but there is a much better alternative. New maps are usually paired with this factor when created, so they are more accurate, more appealing and easier to comprehend. You can use all three methods if you prefer and you will still get accurate and decent results. Of course, you should choose one that is the most appealing to you and the one that comes with great results. Of course, in order to make this form of fishing even more successful, you will have to know some tips that are essential. Below are the best tips obtained by professionals who know what they are doing. If you perform ice fishing in a small lake, keep in mind that the fish will be located in shallow waters. They get more oxygen there and plenty of food as well. But, deeper lakes don’t have this issue, so the fish will be located in deeper waters. The most common mistake all beginners make is believing that fish can’t see above them. But, this is precisely how they see a lure and why fishing is possible. Now, you will have to remember that they can see through the ice, so a lot of movement will speak them. This method for fishing is more than just helpful. Basically, you will use the lure to simulate the prey and attract the fish. This is basically the simulation of how fish hunts and how they find the food. According to a research, the mentioned fish are more active in 90 minutes before and after dawn and dusk. This is precisely the time when you should fish them. If you make a mistake, you will likely stay without a catch. On the other hand, we can see that sunfish and pike are more active during a day. Due to obvious reasons, fishes are more active when it is full moon. This is precisely the moment you should fish. We can add that fish prefers stable temperatures and weather conditions, so you can go for fishing when those conditions are right. Yes, it is true. 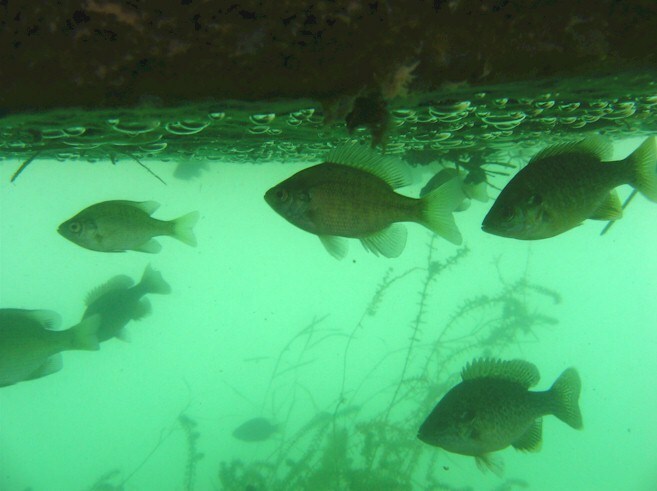 Fish will pay more attention to the underwater structure than you may believe. As such, you should invest in a proper map, or even better a fish finder. Then you will be able to find the fish with a higher success. Now you are ready to start with ice fishing. We helped you by listing you all the techniques and the tips you are actually going to need. Keep in mind that this is a rewarding, complicated and appealing form of fishing, so you will definitely enjoy it. If you have a lot of success, you will enjoy it even more.